Over 150 students at the Nanyang Technological University in Singapore have worked on the innovative nanosat project VELOX-I. VELOX-I consists of two satellites: a 3U nano-satellite N-Sat and a 1U pico-satellite P-Sat. N-Sat is developed to be a robust satellite bus for future missions, and P-Sat is an experimental design to carry a scientific payload. During the mission P-Sat will be released by N-Sat. 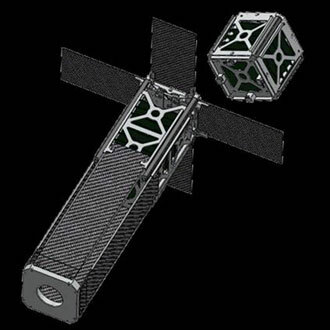 The VELOX-I mission includes demonstrating high-resolution vision subsystem, testing a MEMS-based attitude determination and control system, verifying intersatellite RF link, and performing a quantum physics experiment. It is hoped it will launch in 2013, a downlink of 145.980 MHz has been coordinated.